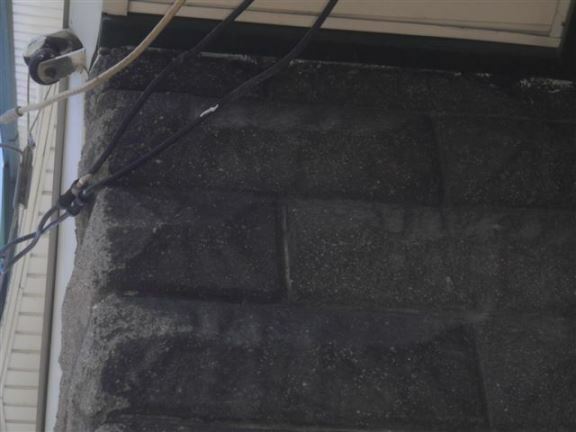 Every home inspection includes a visual inspection of the main electrical panel and any sub panels. Wall sockets are tested to ensure proper polarity and grounding. 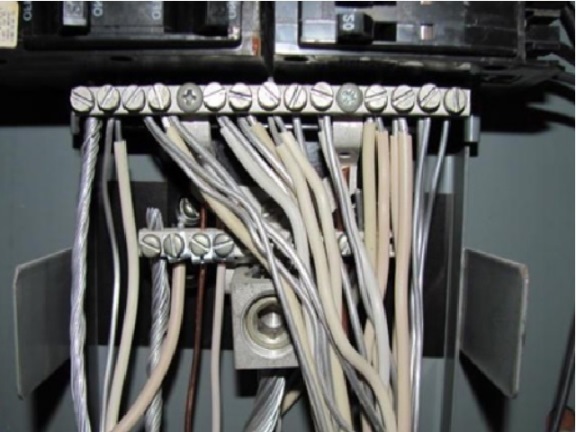 Ground fault circuit interrupters are tested. 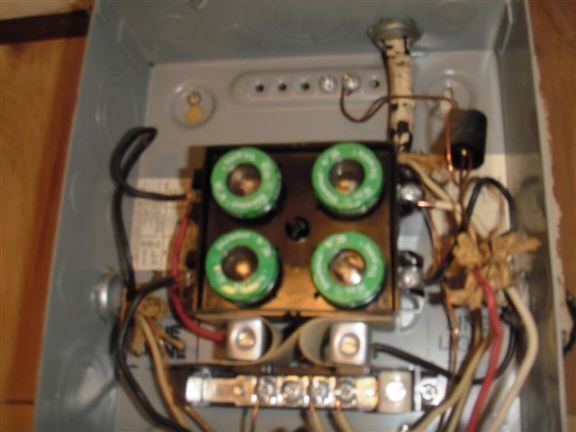 Special care is given when inspecting older homes to look for active knob and tube wiring and aluminum wiring. 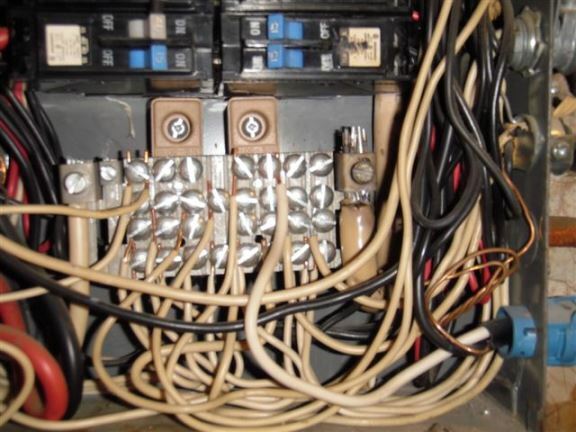 Electrical problems range from wiring that is not up to current standards to dangerous do-it-yourself wiring practices that can lead to electrical shocks and fire. 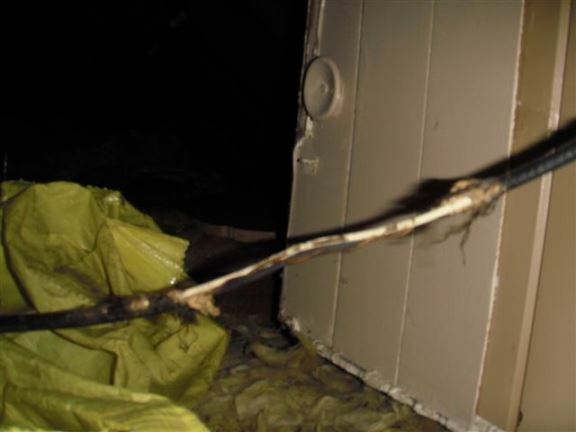 Bare wires caused by gnawing from a rodent could become a shock and fire hazard. These hydro lines from road are rubbing on house. They will eventually wear through creating a fire and safety issue. 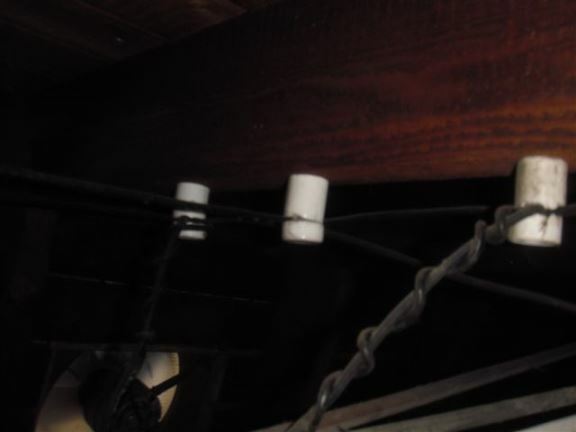 Here the neutral wire in this panel has melted creating a fire risk. 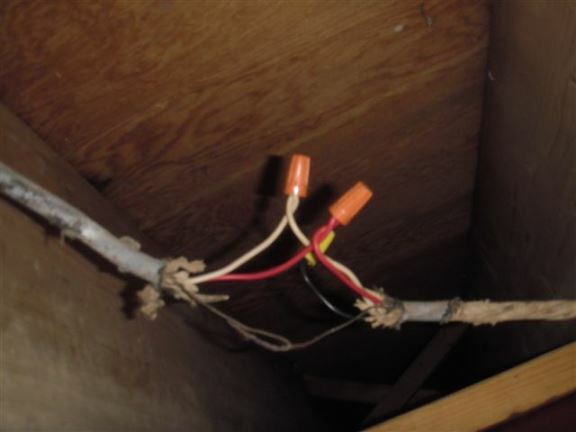 No junction box was used for this connection. 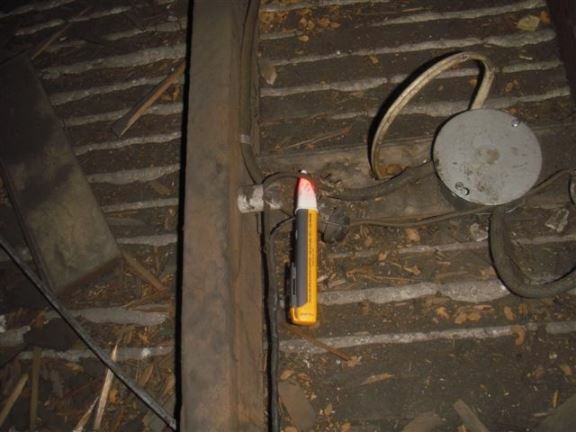 This would never pass an inspection since wire connections should never be exposed. 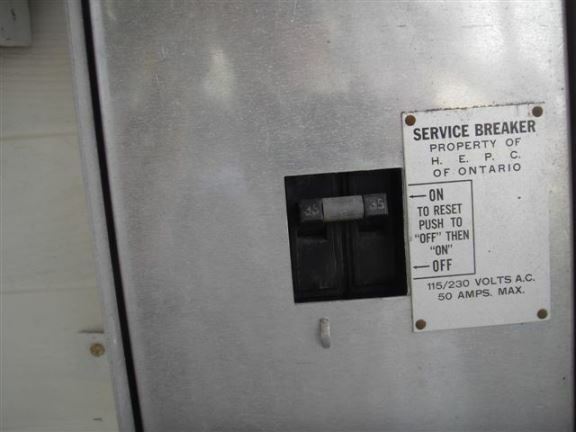 The wires used here are rated for 15 amp fuses but they feed into a 30 amp breaker. 35 Amp Electrical Main is not adequate today and should be upgraded to a 100 Amp service.